The holidays came and went in a flash. But I did manage to find some time to accomplish a thing or two. Bare with me as I catch you up. One thing you should know about me. I love glitter. 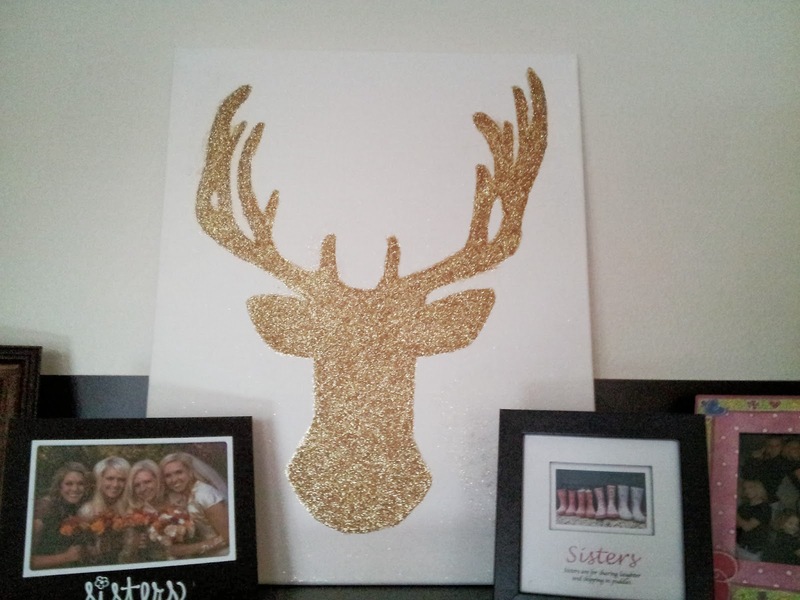 I love glitter almost as much as I love reindeer. So this craft was obviously made for me. First trace the outline onto the canvas. If you are smart and computer savvy you probably know how to print your picture to the size of your choice. If not you can improvise like me. Next trace the outline with your fine tipped paint brush and Mod Podge. 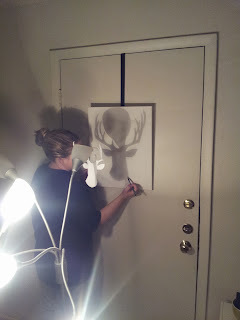 Fill in the outline with your sponge brush and more Mod Podge. 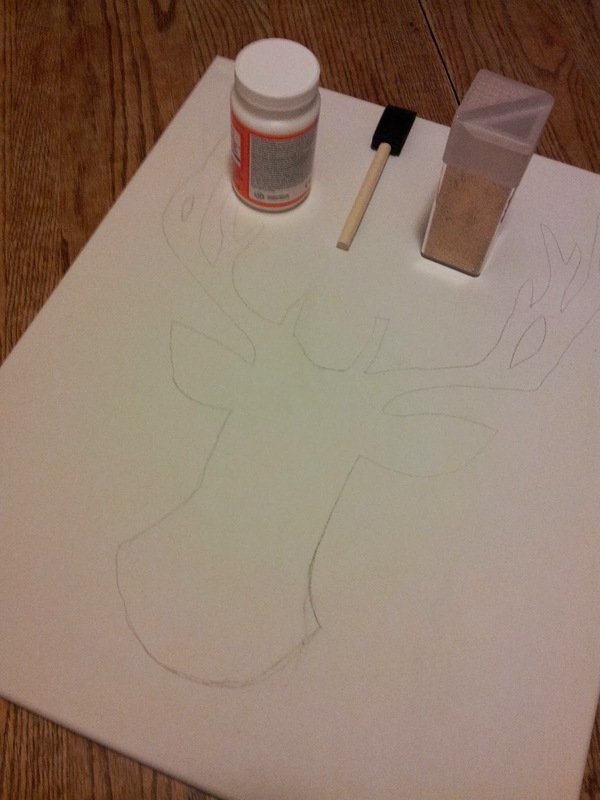 Pour a thick layer of glitter over your wet outline and let dry. I'd suggest over night or you can rush it like I did on the last few coats and wait only an hour. Shake the excess glitter off of your canvas and onto the newspaper. Put on another layer of Mod Podge and repeat. I did three layers. You can choose to do more or less. Put another coat of Mod Podge to hold the glitter into place or spray with a coat of hairspray. Use your wet sponge brush to define edges and wipe off stray glitter. I loved having this piece to brighten up our family room over the holiday season. It was such a quick craft I think I will use this technique to decorate for other holidays too.